Year 3 of the Quality Payment Program begins January 1st, 2019, only a few weeks away. As you focus on Year 2 performance, select the best time frames, and finalize your documentation to prepare for attestation, thinking about Year 3 may seem like too much to handle. We understand the stress of juggling year-end prep, holidays, office hours, and sick days. Here at the Kentucky REC we understand that no one wants to read over 2,000 pages of the final rule and try to decipher what it means to your practice, especially during this hectic time of the year. It may be tempting to put off learning about Year 3 until after Year 2 is put to rest (after attestation). Leave the heavy lifting to us (yes we really did read all 2,000 plus pages, more than once) and read this summary highlighting the MUST KNOW items before entering 2019. We’ve summed up the Final Rule into the top 5 major changes to get you started. We will be digging into these changes and more during our upcoming webinars on December 6th and 13th. We encourage you to tune in for the repeat if you missed our first Year 3 Overview, and then join the upcoming Promoting Interoperability webinar. The registration links are below. In Year 3 of the Quality Payment Program, CMS moved to expand the current five Eligible Clinician (ECs) types to 11. Currently Physicians, PAs, NPs, CNSs and CRNAs who meet the eligibility threshold are required to report to the QPP. Starting in January, this will expand to include PTs, OTs, Qualified Speech-Language Pathologists, Qualified Audiologists, Clinical Psychologists, and Registered Dietitians or Nutrition Professionals. Many of these new clinician types have never had to participate in any quality incentive programs so education on how and where to document key factors will be crucial. For those participating at the individual level, these new clinician types do receive an automatic re-weight on the Promoting Interoperability category. This will move the 25% weighting normally under PI over to the Quality category, making Quality 70% of your final score. For those reporting as a group, unless the group meets the re-weighting requirement, the reporting group should include all clinicians under the tax ID. CMS also expanded the exclusion requirements to include a third criterion so that an EC must meet or exceed $90,000 in Medicare Part B billing, 200 Medicare patients AND have 200 covered Professional Services. With the addition of the third criterion, CMS expects a slight drop in the number of eligible clinicians, as compared to Year 2 ECs. However, paired with the expansion of EC types and other changes, CMS is expecting an overall neutral change in eligibility. In addition to the expanded clinician types and criteria, CMS also increased the performance threshold from 15 points to 30 points for Year 3. The payment adjustment at risk for Year 3 (administered in 2021) also increases from 5% to 7%. This raises the stakes for not meeting that minimum performance threshold of 30 points. CMS also increased the exceptional performer threshold from 70 points up to 75, raising the bar to qualify for an additional incentive outside the budget neutral program. Brand new for Year 3 is the allowance for clinicians who meet ONE of the three eligibility criteria ($90k, 200 patients, 200 CPS) to Opt-in to the QPP. This means that those clinicians who opt-in can participate in MIPS, and qualify for the payment adjustment in the corresponding payment year. This election must be made on the QPP Portal and is IRREVOCABLE for the program year. This is an additional flexibility given to practices that are just shy of meeting all three requirements, yet have the potential to perform well in the program, and want to participate. 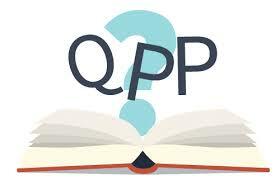 In previous years a practice/clinician could submit to the QPP despite eligibility. However, if they were not an EC, they did not qualify for the payment adjustment. Finally, and the largest change in our opinion, is CMS’s restructuring of the Promoting Interoperability Program. CMS reduced the number of objectives that clinicians are required to report on in an effort to cut down on the variables requiring patients to act independently. Therefore, CMS removed the following measures: View Download and Transmit, Secure Messaging, and Patient Generated Health Data. This is in addition to measures that do not require patient activation such as Patient Education and Medication Reconciliation. This leaves a compressed list of objectives including: Security Risk Assessment (non-weighted), Electronic Prescribing, Patient Access to Health Information, Health Information Exchange/Closing the Referral Loop, and Public Health. In addition to reducing the number of required objectives, CMS updated the scoring process. They moved away from the base, performance, and bonus measures approach, and on to a straight performance-based measurement for simplification. While this new scoring method does simplify the process, it also greatly increases the difficultly to maximize your performance in this category. While CMS states that overall there are few changes to Year 3, the changes are significant and can deeply impact your performance in Year 3. While highlighting these five major changes to the program, there are many others. A couple examples include an increase to the Cost category, as well as the finalization of the Facility Based Scoring for Quality. We will host webinars each month in the New Year focusing on each performance category, the changes, and how to succeed in the Quality Payment Program. Join us for these informative hour long FREE events!